Objective: Given a binary tree, write an algorithm to convert it into its Sum tree. 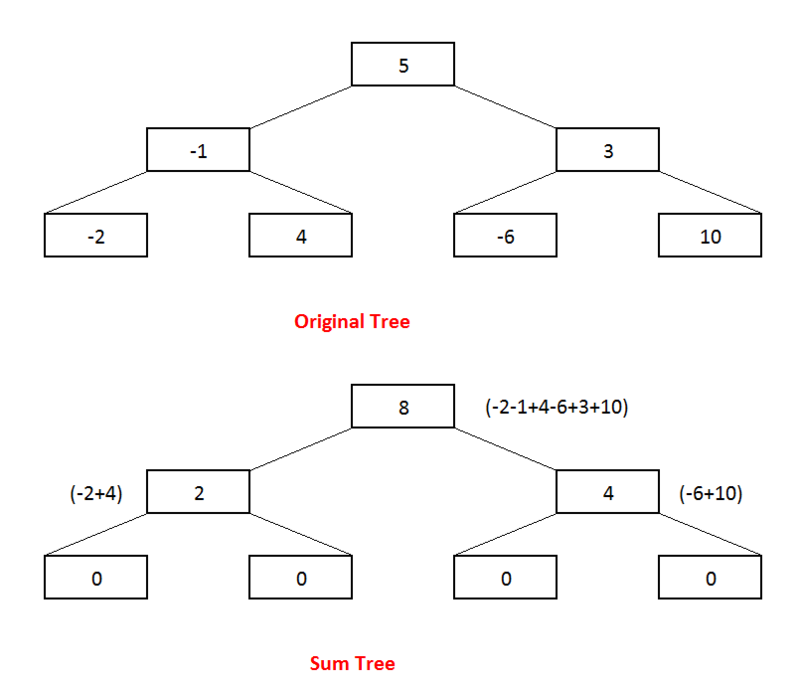 What is Sum tree: Sum tree of a binary tree, is a tree where each node in the converted tree will contains the sum of the left and right sub trees in the original tree. Recursively calculate the left sum from left sum tree. Recursively calculate the right sum from right tree. prepare the return root.data + left sum + right sum. Update the root data as root.data = left sum + right sum. update the newRoot = root. 240 queries in 0.134 seconds.